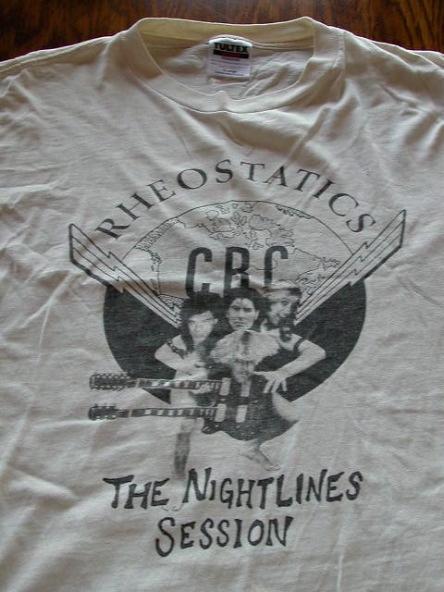 The Rheostatics are one of my favourite bands. I've seen them perhaps more then any other band. Some of my favourite concerts have been Rheostatics' shows. Yet for years I did not have one of their shirts. Finally I bought this one, it isn't anything special, but it was what was on sale when I was at the show with the money. They also sell hockey jerseys. The next Rheos show I went to I brought extra money to buy a jersey and they weren't selling them that show. You just can't win sometimes.